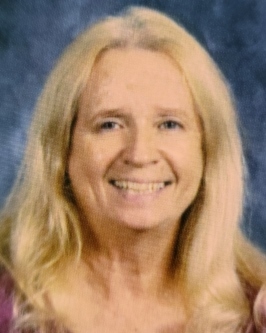 Linda Elaine Vipperman-Kildow age 66 of Nampa, Idaho, passed away on Saturday, March 16, 2019 at home with her loving husband Teddy by her side. She was born November 10, 1952 in Gooding, Idaho to her parents Charles and Lillie Vipperman. Linda attended elementary school in Gooding, Idaho. Graduating from Mountain Home High School. Her love for learning continued as she attended the University of Idaho and Boise State University earning a Bachelor’s degree in English and several endorsements which allowed her to teach all subjects K-12. Her teaching career lasted for 29 years. While learning and teaching was her passion, the real love of her life was family and friends. She was blessed with two sons, two daughters and four grandchildren. She married the love of her life Teddy on March 21, 2005. Together they enjoyed traveling, camping, fishing and just doing things together. She especially enjoyed their trips to Yuma, Arizona with flea markets as her main attraction. Linda loved to read. When she wasn’t taking care of her family, it was not unusual to see her with a book in her hand. Being well informed and educated about many things was important in her life. Linda is survived by her husband Teddy, her mother Lillie, two sons, Aaron and Dillon, two daughters Sasha and Sheena and four grandchildren, Cameron, Savaya, Shaela and Sloane. One brother Charlie two sisters Jeanne and Marilyn and a number of other loving relatives and close friends. She is preceded in death by her father Charles. A celebration of life will be held at Dakan Funeral Chapel in Caldwell, Idaho on Saturday, April 6, 2019 at 10:30 a.m.